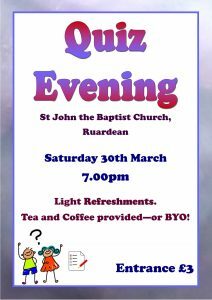 Please come and join us at our Quiz Evening and test your grey matter! 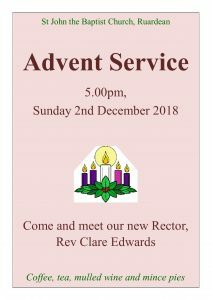 Please come and join us for our Advent Service then enjoy mulled wine and a mince pie & a chance to have a chat with our new Rector, Clare! We look forward to welcoming you tomorrow. 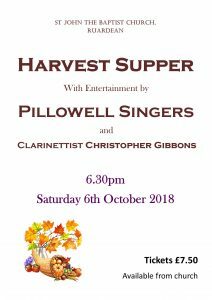 Come along and join us at our Harvest Supper and enjoy an evening of musical entertainment! Help us celebrate the Church’s birthday! 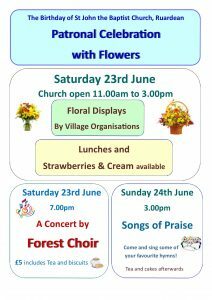 Next weekend (23-24th June) we will be holding our Patronal Festival to celebrate the birthday of our Church. 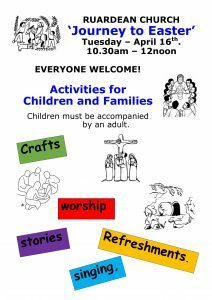 We hope that you will all be able to join us during the weekend & look forward to welcoming you to St John’s. 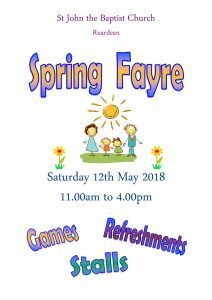 Please come along & support our Spring Fayre on Saturday 12th May! Tonight’s concert with Pillowell Ladies Choir has been postponed; date to be confirmed. 4/3/2018 – Sunday Services cancelled due to snow!